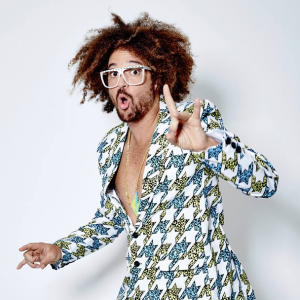 Given he’s no longer a quarter of Australia’s ‘X Factor’ judging panel and will therefore be largely out of sight, out of mind for the majority of us Aussies, it’ll be interesting to see how the record buying public reacts to ‘Where The Sun Goes’, the latest single from Redfoo. Most of the singles he’s released over the past few years has followed in a similar vein to the sound of the LMFAO catalogue… fluffy, light novelty dance songs offering up very little meaning, but an abundance of beats. His new single ‘Where The Sun Goes’, however, is a little different. Firstly, he’s got soul legend Stevie Wonder in tow (presumably that’ll be him providing the harmonica). And secondly, he’s dropped the tempo and has infused it with a sizeable dose of funk, employing a Nile Rodgers-esque bassline, along with Jackson-esque grooves; nowhere near as ridiculous as his previous offerings.